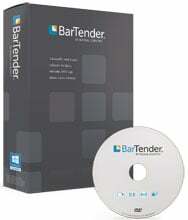 Seagull-Scientific BarTender Enterprise Automation includes all of the label design, printing, software integration, and data sourcing features of the Automation edition, plus advanced server functions for centralized printing, security and administration. BarTender Enterprise Automation includes BarTender Web Print Server to print labels from any browser and contains most advanced integration features, including TCP/IP triggers, SAP AII, Oracle XML, XML transforms, and XML scripting. It also includes full functionality for all of the Companion Applications, including Librarian and logging to centralized databases, and tracks printer parts inventory and in-printer media usage. The Seagull UB-EA50-EA100 is also known as Seagull Scientific	SEA-UBEA50EA100	or UBEA50EA100	.